I have been working with computers for the last 40 years. My first program was created on an IBM 1132 computer back in the dark ages. That was when you really knew you had a computer – there was a keyboard, a line printer that was the size of a desk. The computer was a cabinet where you would insert a large 18 inch disk drive that contained the software that you used to run the code. There was a drive for Fortan and one for APL. It was great fun to run a program as the lights would flash, the printer would start humming and printing out information, and, if your program worked, it produced an answer on the printed page. I used computers starting with my first real job in a large company that used IBM mainframe computers to run the business. Everywhere you looked there was IBM equipment and software used in the business – computers, terminals, printers, and tape drives. I worked in the Marketing Department and we used computers for business analysis. 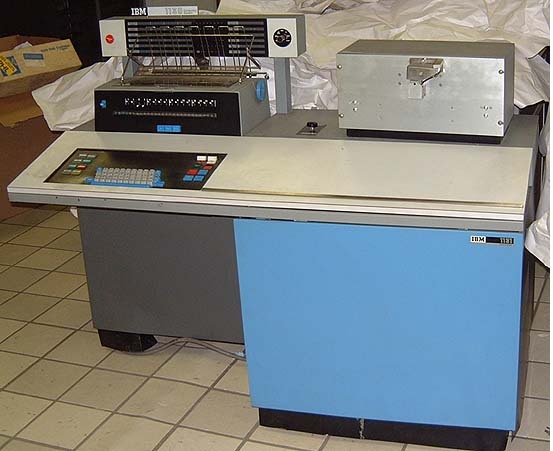 In the early 1980s my group received the first IBM personal computer to see how we could make use of it in the business. It had two floppy 5 ¼ disk drives, one for the program and one for the data as there were no hard drives. Not soon afterwards Microsoft began producing the operating system themselves and the personal computer age was upon us. We would purchase new software for the personal computers that would provide a whole host of utilities that we had not seen before. As time marched on the Microsoft became a bigger and bigger behemoth that produced ever-changing software that had to be replaced almost annually. Each software vendor would upgrade their product annually as well which would result in a never-ending cash outlay for the latest and greatest software available. But I, like most people, were sold on the Microsoft product line. Apple had developed their computer with an closed operating system that could only run their software. While it was easy to use, they built their computers for the educational market, concluding that once they sold the younger generation on their easy to use computer, they would naturally turn to them when they entered the job market. However, by then Microsoft had grabbed a virtual monopoly on business software and no large company technology officer would never put his job on the line by purchasing anything other than Microsoft products. In 1997 I became involved with an Internet startup company that had little cash and a great idea. Since this was the early days of the Internet, development of this medium had occurred primarily using an operating system called unix that ran a web server called Apache. Unix had been used for some time on various computers but I had never been exposed to it since everyone I had ever worked for was and IBM-Microsoft technology operation. Once I used this operating system (it had then morphed into linux) I was truly amazed at the power that this operating system had and could be run a few simple commands. Never before had I seen a gang of computers that could be set up to run a system that, for the most part, never had to be rebooted, and could do so many tasks with little of no effort on may part. I was hooked! I started learning linux, html, and perl to build our Internet business. And guess what? Most of the software could be purchased for free or at little to no cost at all. We built a system that could handle 3 million page views per day using 10 personal computers that were loaded with identical information. However, the business side of our company, like almost every company, was still being run on the Microsoft platform using their integrated Office Suite of Word, Excel, Powerpoint, and Access. The graphics department, on the other hand, required an Apple computer running Adobe Illustrator to create images to be used on our web pages. So this basically brings me up to today. My online business is run on linux servers that are only rebooted once in a blue moon and uses software that is available as “open source” – meaning it is created collaboratively by developers all over the world and released under the GNU license which is composed entirely of free software. My office business, however, currently runs in a Microsoft Office Environment where every update requires a purchase of software to make the system run smoother and more productively. Now, with the state of the economy and an ever increasing tax burden on the population, it occurred to me that one of the roadblocks to creativity and the education of our children is the fact that we are spending large sums of money on software applications that is completely unnecessary. It is now possible to create a desktop workstation that will run most businesses with software that is available to the public under the GNU license. This site has been created to do just that. Ubuntu is leveraging the Linux brand and open source technology to create its own product (operating system) and brand (Ubuntu). This is somewhat similar to the co-branding efforts of Intel with many PC brands, but without the licensing. We regularly round up the best Firefox extensions, free online books on open source topics, free tools for developers, resources for working with and enjoying online video and audio, Linux tutorials, and much more. In this post, you’ll find more than 35 collections and …. In this post, you’ll find a discussion of free virtualization options that can put Linux right on your Windows PC or Mac. What if you want to put Linux and Linux applications on your USB thumb drive? How many desktop Linux users? Judging by the number (still less than us) of Linux detractors and their urgency at trying to wish Linux into oblivion, I’d say Linux and Open Source are doing quite well on the desktop.